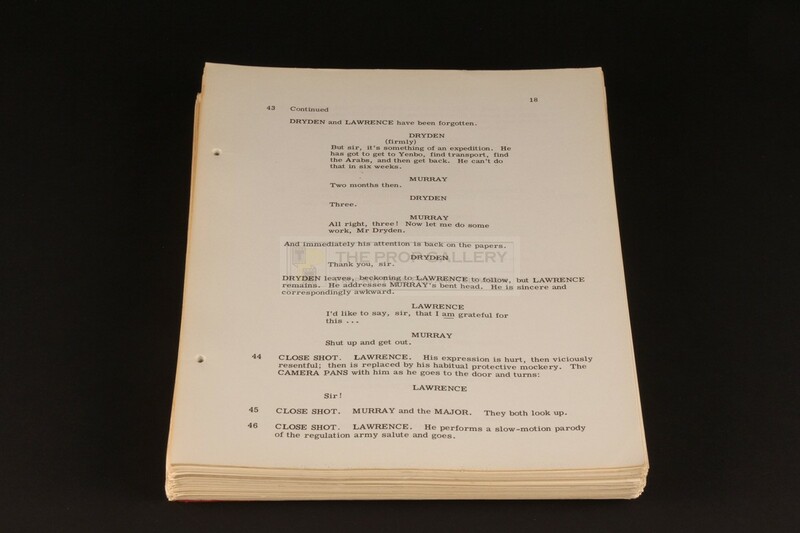 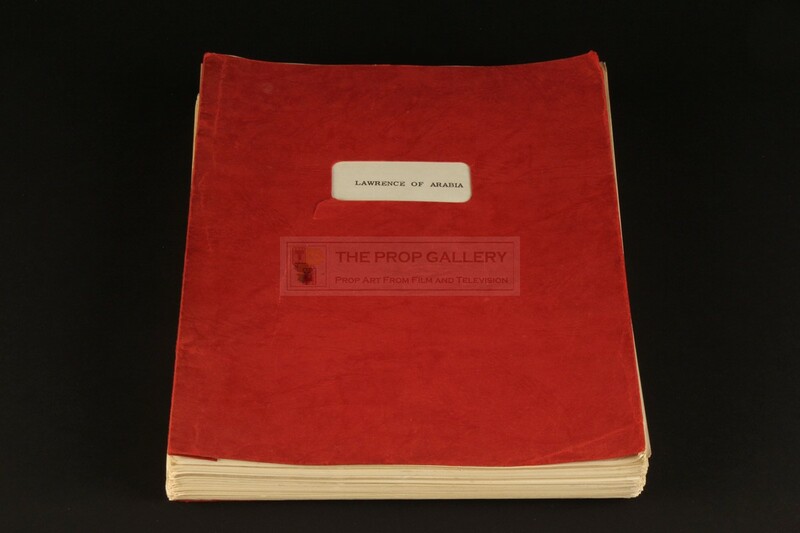 An original script used in the production of Lawrence of Arabia, the 1962 historical epic directed by David Lean. 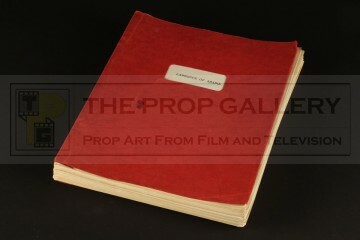 This original production used script comprises of 267 pages bound between front and rear covers of red card with the front featuring a window cut out revealing the title of the movie to the interior cover page, the content of the script is split in to two parts with the intermission after 142 pages. The script remains in excellent vintage condition with some minor edge wear and toning, light wear to the covers and lacking the original binding pins, otherwise fine. 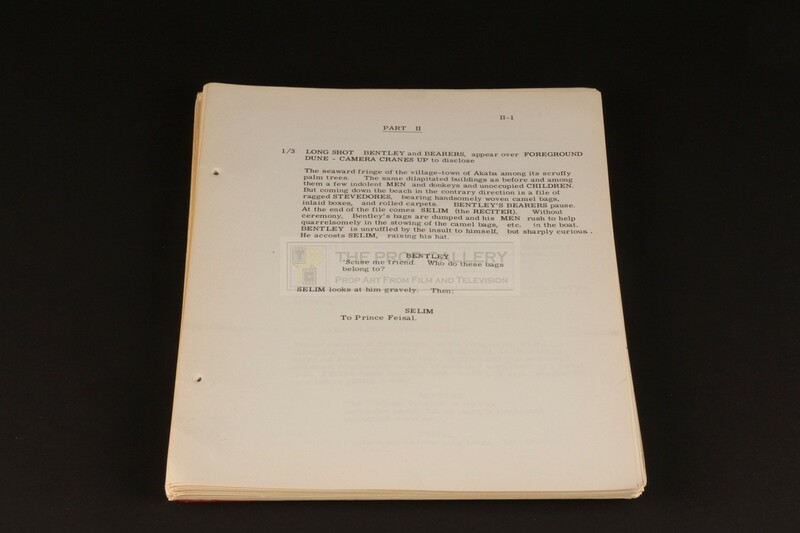 A rare example of original production material from this Academy Award winning epic which is frequently considered one of the greatest pictures in the history of cinema.